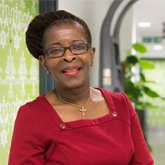 Share your story this Nurses’ Day to champion the diverse and dynamic work that we do, says RCN President Cecilia Anim. It’s been a busy year, so we’re looking forward to taking a moment to celebrate the hard work and dedication of our brilliant members this Nurses’ Day – Saturday 12 May. Whether you’re hosting a party in your workplace or joining us at RCN Congress in Belfast, we want to mark the occasion by saying a massive thank you - for all the support you provide to your patients, colleagues and team members, every single day. I love hearing stories of great nursing – the work you’ve been particularly proud of, the colleagues that went the extra mile, the ways you've campaigned on the issues that mean the most to you, or the moments that brought you joy amidst the challenge of your day-to-day roles. Ahead of 12 May, we’re asking our members to share their stories – the good, the bad, the challenging, and the amusing. We've created a ‘share your story’ page on our Nurses’ Day website, and I’d love you to contribute. You can also take part using #ThisNurse on social media. Your stories give us a vital insight into your work, and will help patients and the general public learn more about the work of nursing through the outstanding work of our members. Above all, enjoy Nurses’ Day. It’s your day to celebrate.